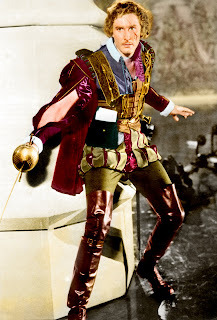 Memorial Day weekend is just a few days away and in commemoration of this special holiday, The Lady Eve's Reel Life is giving away a copy of the DVD boxed set Errol Flynn Adventures from TCM Spotlight/Warner Home Video. A collection of five World War II actioners, the set includes Flynn’s own favorite of his films, Objective Burma! (1945), directed by Raoul Walsh. Three more Walsh/Flynn collaborations are included in the set: Desperate Journey (1942), Northern Pursuit (1943) and Uncertain Glory (1944), along with Lewis Milestone’s Edge of Darkness (1943). To enter, send an e-mail with “Flynn Adventures” in the subject line to ladyevesidwich@gmail.com. Include your name, address and e-mail. Entries must be received by Noon PDT on Monday, May 30, 2011. UPDATE: A winner was selected in a random drawing at Noon PDT on May 30. Congratulations to "Captain Gregg," a member of TCM's Classic Film Union who learned of the giveaway through that site. Thanks to all who participated, I hope to do more contests like this one in the future. This boxed set retails for $39.99 on Amazon and has a 4 ½ star rating from the site’s customers. 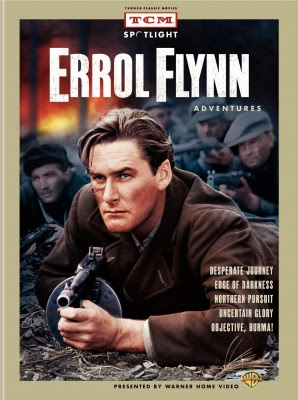 From Amazon’s editorial review: “Unlike so many boxed-set tributes to actors, this one's actually got a tight, logical theme: Errol Flynn Adventures offers five World War II pictures made at Warner Bros. during Flynn's reign as a top leading man. Four of the films were directed by one of Flynn's favored collaborators, the robust Raoul Walsh, and all of them have an urgent wartime commitment that puts them in a zone between entertainment and propaganda.” For a full review of this boxed set by CMBA member Classic Becky, click here. This boxed set is an unopened review copy provided by Warner Home Video, and The Lady Eve’s Reel Life is not responsible for any defects or other product or packaging glitches. 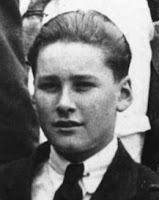 Errol Flynn was born in Hobart, Tasmania in 1909. His father was a biologist and professor and his mother was descended from a long line of seafarers who claimed an ancestor who served on the HMS Bounty. Always a handful (a handsome, athletic handful), young Errol set off to seek his fortune in New Guinea in the late 1920s. His exploits there are open to debate due to his habit of embellishing his adventures, but it’s generally agreed that Flynn found various ways to make a living, from government service to slave trading. One of these many endeavors led to his life as a film star. The story goes that in the early '30s filmmakers employed by the Australian government ventured to New Guinea to make a record of the territory. Flynn agreed to take them through uncharted waters on his boat. As the skipper of the vessel, he was often on camera. A while later Flynn received a telegram from Australian producer Charles Chauvel who offered him £50 plus expenses to travel to Tahiti and star in a film. It was a friend of Chauvel's who'd shot the government footage and word had gotten around that the "pilot" of the expeditionary boat had star potential. Flynn took the opportunity and starred as Fletcher Christian in In the Wake of the Bounty (1933). He was billed as Leslie Flynn. A few adventures later Flynn arrived in London in pursuit of an acting career. It didn't take too much time but it took a lot of bravado for him to land the lead in Teddington Studio's production of Murder at Monte Carlo (1935) directed by Ralph Ince (younger brother of Hollywood pioneer Thomas and actor/director John). His performance prompted the head of the studio to cable Jack Warner: "WE HAVE HELL OF PERSONALITY HERE SUGGEST SIGN HIM FOR HOLLYWOOD FILM." Warner responded, "AGREE YOUR SUGGESTION." Flynn's first appearance in an American film was as a cadaver in The Case of the Curious Bride (1935). In his next film, Don't Bet on Blondes (1935), he had a speaking part. His third film and a starring role came about because Robert Donat dropped out. 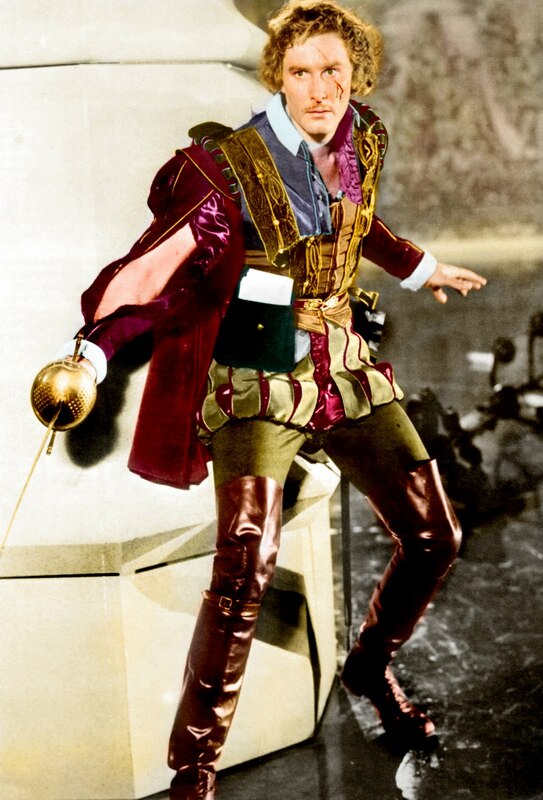 The movie was Captain Blood (1935) and it made Errol Flynn a star. His stardom grew with The Charge of the Light Brigade (1936), The Adventures of Robin Hood (1938), The Dawn Patrol (1938), Dodge City (1939), The Private Lives of Elizabeth and Essex (1939), The Sea Hawk (1941) and several other box office hits. 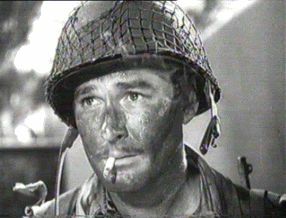 Classified 4F and unable to serve in the war (a status Warner Bros. did not publicize), Flynn was cast in a series of World War II films - highlighted by Objective Burma! (1945). He delivered one of his finest performances cast against type in That Forsyte Woman (1948). A high-profile movie star, Flynn's reputation as an epic womanizer, drinker and brawler was well-known and well-earned. His career waned and he aged rapidly in the 1950s, but he continued to work until the time of his death. His last major studio effort was John Huston's adaptation of Romain Gary's The Roots of Heaven (1958). His very last film, Cuban Rebel Girls (1959), co-starred his 17-year-old girlfriend, Beverly Aadland. Flynn died in 1959 at age 50. He left behind a widow, two ex-wives and four children. Sean Flynn was born in 1941 to Errol Flynn and his first wife, actress Lily Damita. 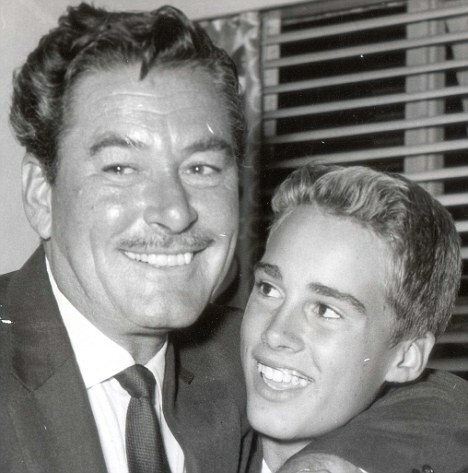 Sean, who resembled his father, had a brief movie career during the early 1960s. By the mid-60s he'd become a freelance photojournalist and went on to cover the Arab-Israeli war and the war in Vietnam. He disappeared in Cambodia in 1970 with photojournalist Dana Stone, on assignment for CBS News and Time magazine. The two are presumed dead. Sean Flynn would have celebrated his 70th birthday this May 31. Thank you for mentioning my review, Eve -- that was really nice. These movies are wonderful. You did a real tease with the clip from Objective, Burma. Now I'm going to have to get it out and watch it again! The jump is made even more thrilling with the fantastic music that accompanies it. This is a great way to think about what those boys in World War II, Korea, Vietnam and now the middle east are required to go through. Their bravery should never be forgotten. Most of them were just kids -- my own Dad was just turned 18 when he was a tail gunner in the Army Air Corps, near Burma, actually. I wonder if you know that Errol Flynn's grandson is one of the stars of the "Zoey" teen series on Disney Channel. I think he is daughter Rory's son, but I'm not sure. Becky...I remembered your mention of the parachuting scene and its music in your review - and was happy to find a clip that has at least the beginning of the parachute jump in it. I did know that Errol's grandson was an actor for a Disney show. 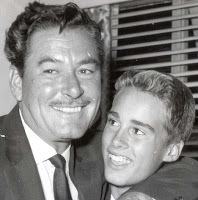 I've never seen any of the films Sean, Errol's son, starred in - though I've seen "Where the Boys Are" - he had a walk-on in it (suggested by his childhood friend George Hamilton). some of the better WWII films...very little propaganda...nice post and background info!! Flynn was a wild man. His autobiography was aptly named (LOL). I remember reading a book called TWO OF THE MISSING in the late 70's about Sean Flynn's time as a journalist and his disappearance. John - A few days ago I came upon a page within a book publisher's website called "Zalin Grant's War Tales" and his piece entitled: "The Sean Flynn I Knew," sub-heading: "He Wasn't Like His Dad." Grant knew Flynn in Vietnam and interviewed him, taped him, on a few occasions when they were together. Grant, according to his bio, was a volunteer who served as an officer in Vietnam. He also was a correspondent for Time magazine and at some point worked for The New Republic. He's written four books on Vietnam. But what this piece focused on was the transcription of his conversations with Sean. Definitely work checking out. 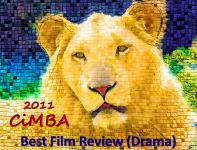 I also looked into Lily Damita's efforts to find her son. It seems she spent much effort and money in the process, always coming up empty handed. Very interesting posting. I've been watching a lot of Flynn lately and saw 'Edge of Darkness', which is a powerful Norwegian resistance drama, not long ago on TV - I know he is great in his swashbucklers, but I always enjoy seeing him in contemporary roles too. Must agree with you that he is brilliant cast against type in 'That Forsyte Woman'. Thanks for the info, I will check it out the article. Unfortunately, where his remains are will most likely never be known. Hi Judy - There was much discussion on Flynn's performance in "The Private Lives of Elizabeth & Essex" (subject of my last post). My reaction to his Essex was mixed. At times he seemed over his head, but at others he was very good. One film of his that I'd like to watch is "The Roots of Heaven." It has a reputation for its production problems, etc., but I'd like to see Flynn's last major performance. Eve, watching Errol Flynn's last couple of movies is a sad experience. He looked so bad and the years of alcohol and drugs took such a toll on his acting. I think after he was older, his last really fine performance was in The Sun Also Rises, in which he showed his acting chops -- the part was perfect for him, charming with great depth, self-deprecating, and one scene in which he just breaks your heart. I did see "The Roots of Heaven" once - but so long ago that I remember next to nothing about it. It's interesting that Tyrone Power and Errol Flynn, two major leading men of the '30s and '40s, appeared together in "The Sun Also Rises" in 1957. Power was still considered a romantic lead; Flynn was not. But for me, Tyrone Power is one of the reasons I'm not a big fan of the film. He's just not right for the role of Jake and doesn't seem comfortable in it at all. Power did pretty well, but you are right -- he didn't fit well. I can't think off the top of my head who might have done Jake. Hi Eve, yes, I should have said that I'd read and enjoyed your detailed posting on 'Elizabeth and Essex', but couldn't think of anything to add to all the great comments. It is a film I enjoyed, as a fan of both Flynn and Davis, and it was very interesting to learn all the background information you included in your review. I'm sure Olivier would have been great in it, but I'm very happy with Flynn's performance. I haven't seen 'The Roots of Heaven', but would like to - I'd also like to see his portrayal of John Barrymore in 'Too Much Too Young', as Barrymore is another of my favourite actors. Thanks very much for replying! Becky - Top actors of the late '50s who would NOT have worked: Tony Curtis, Burt Lancaster, Kirk Douglas, Montgomery Clift, Charlton Heston, Marlon Brando! Paul Newman, maybe (ref. "Cat on a Hot Tin Roof" re: sexual issues). Judy - So glad you took a look at that last post. I'd like to have seen Bette and Olivier together as Elizabeth and Essex, but it would've been a completely different film. Flynn worked as well as (or better than) anything in this film. I'd like to see Flynn as Barrymore, too. Am going to track that film down.